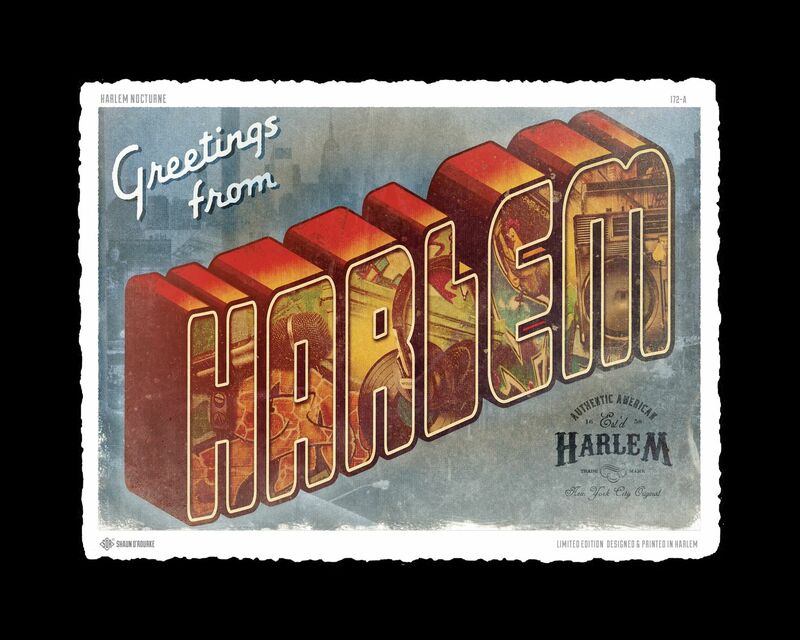 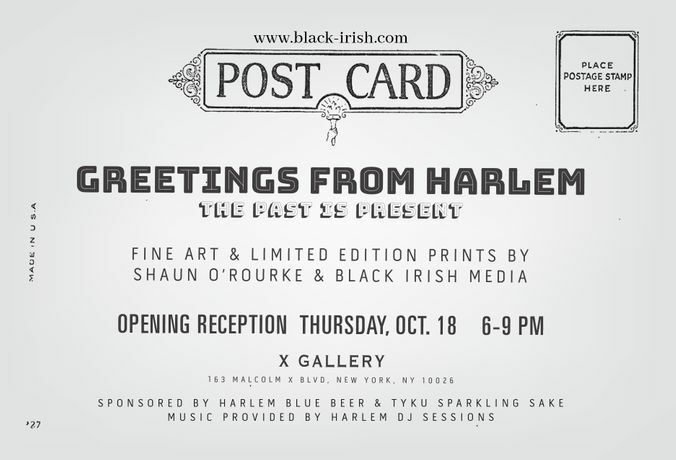 Black-Irish presents "Greetings from Harlem"
Save Event: Black-Irish presents "Greetings from Harlem"
Share Black-Irish presents "Greetings from Harlem"
"Greetings from Harlem: The Past is Present"
Black-Irish pays tribute to an ever-evolving Harlem. 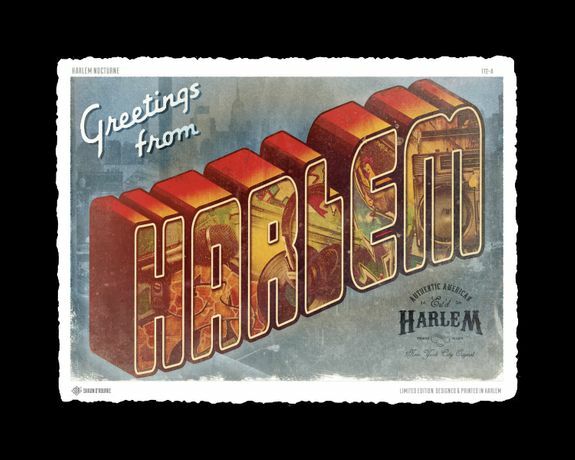 As 20+ year Harlem artists and as business owners, we find a continual flow of inspiration in the sights and materials our neighborhoods above 96th street Manhattan sets forth. 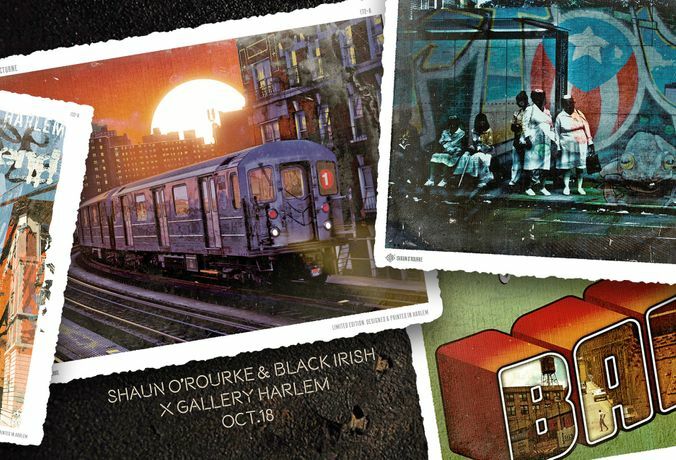 Black-Irish reimagines modern Harlem scenes and details through the lens of vintage print aesthetics, offering fresh perspectives and bridging the gap between Harlem past and present.